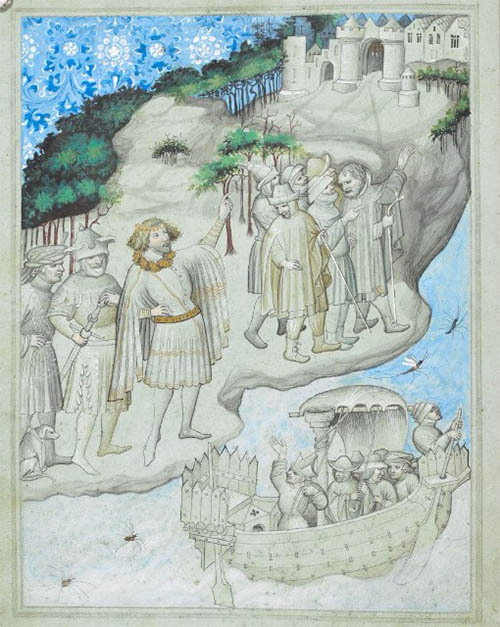 In medieval Europe, the word “pilgrimage” denoted not just a physical journey to a place imbued with religious significance, but also an inner journey, an imagined voyage that was facilitated through reading devotional and literary texts. Pilgrimage narratives that documented factual travel served the dual purpose of recording the pilgrim-author’s journey and providing the reader with a pragmatic guide to enact their own. And yet, in this period we also see more literary, more fantastic, more truly unbelievable pilgrimage texts that are equally concerned with the pragmatic concerns of pilgrimage. In this presentation I argue that such is the case with Sir John Mandeville’s wildly popular Book of Marvels and Travels, a text that is as concerned with the wondrous monsters and marvels of the East as it is in outlining the benefits of travelling with camel rather than horse, and the quickest route through the Holy Land for the pilgrim on a budget.